I’ve always been fascinated by space and the exploration thereof. 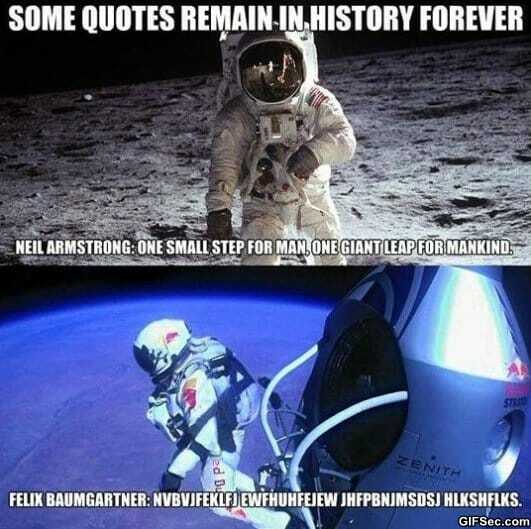 The whole conspiracy theorist slant on man landing on the moon makes me chuckle. I have no idea if it really happened (although I suspect it did) but weirdly, I almost don’t care. It’s the actual space-exploring concept itself that I love. The idea that we leave this planet behind and go out there amongst the endless stars and planets, carving a new existence across the infinite void. When I was younger (which did happen), I used to say that ‘seeing the Earth from space’ was right up there at the top of the list of things I wanted to do before I died. Incidentally, I’ve taken a tip from life’s optimists and that list is now titled ‘Things I Want To Do Whilst I’m Still Alive’. I’m under no illusions that this one will remain forever out of my grasping reach. Yes, I know all about the near-orbit trips and what-not, but let’s be honest; I could hardly afford to do the shopping this week. I’m highly unlikely to be booking myself onto that vehicle. But it’s OK. I don’t mind. I can experience the whole thing vicariously through footage like the above. One of the things that struck me more than anything was the loneliness. As that rocket tumbles back from near-space, obviously you can still hear everything. You hear the propellant burning off, you hear the wind and most ominously, the creaking and groaning of the metal under incredible stress. It’s hauntingly eerie. And I love it. Ambient sounds are one of the most atmospheric things ever. I imagine that’s exactly how a drop pod would sound as it comes crashing down to deploy a bunch of hyped-up Space Marines to deliver some righteous vengeance. Although we did once speculate that perhaps the Imperium provided Administratum-approved Muzak inside the pods. It’s things like this bit of footage that make me glad I chose to write and read science fiction. Because it’s probably the closest I came to living out number one on my list. Not only do I get to see the curvature of a world as my rocket ship accelerates away from it at impossible speeds, I also get to create it. To populate it. To give it atmospherics, weather conditions, natural history… I’ve done work on creating several worlds now in the course of writing my stories and it’s one of the most incredibly satisfying things. During the course of creating the most recent one, I spent some time on Google Images, looking for pictures that reflected what I was striving for. Here’s a sample. To see the Northern lights from somewhere… well, northern, is also on my List. It comes right behind the space one and is one that’s entirely more achievable. I’m already working out costings and a Plan to do just that. Of course, I know that actually seeing them isn’t always guaranteed, but if I can work my dream holiday out, and save up the pennies to do it, I can well and truly tick one of those things from the List. There are plenty of other things on there, so it’s not like I won’t have anything to strive for. I’ve achieved one of them. ‘To write and publish a novel’. I’ve achieved that one twice, now, and believe me, the thrill doesn’t get any less. So item two on the List is a possibility. I count this as a win. In the meantime, I shall continue to live out my space dreams happily via the medium of other people experiencing things for me. Felix Baumgartner chucking himself off the edge of space was amazing to watch, for example. A helmet-cam would have been outstanding, but well. Can’t have everything. So until the day comes when I can just pop onto the ‘arc across the Earth and arrive at the other side in no time at all’ express service, I have to accept that I will never see the one sight that takes my breath away and brings me to tears every time. I tell you now. Crying when you can’t breathe isn’t any fun whatsoever. From up there, we’re all the same. Just a quick FYI, the link for the SRB video didn’t come across the RRS feed correctly. When I clicked it tried to go to http:///. Haven’t tried any others yet.